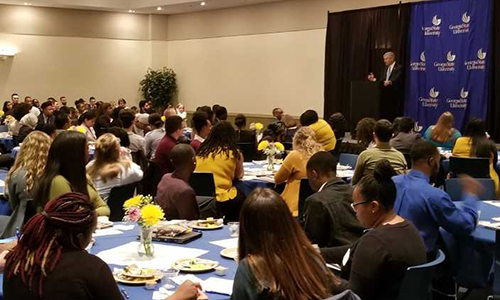 Earlier this semester, the Leadership Programs office hosted the Spring 2019 Presidents’ Brunch. The Presidents’ Brunch is a program aimed to let student organization presidents meet, eat and discuss initiatives they can collaborate on. Student organization presidents from all campuses were invited to attend, and over 100 presidents assembled that day. 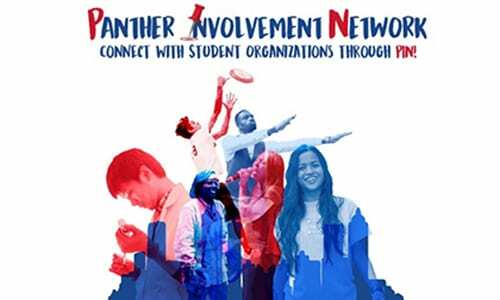 What is Panther Involvement Network (PIN)? The Panther Involvement Network (PIN) has replaced OrgSync as the new student organization interface for students at Georgia State University. It’s a social site for campus involvement. Students can browse the over 500+ active student organizations at Georgia State, review upcoming events or find information about any organization that may be of interest. Students can also submit forms for vehicle rentals, student activity fee funding, late night events and much more. For additional information, visit: PIN!